Posted on November 20, 2015 by staceyanderton1	in Media, News and tagged Panther Press, SHS. Posted on May 6, 2015 by staceyanderton1	in Media, News and tagged @PantherPressSHS, Panther Press. “While the sports reporting industry goes through a digital revolution, the students at Saegertown’s Panther Press are staying ahead of the curve.” This was the close to renowned Erie Times News’ sports writer Tom Reisenwebers’ recent piece regarding the Panther Press’s evolving media output, most notably its twitter coverage of sports and other school events. On April 16, the Panther Press staff received a visit from the Erie Times News’ Andy Colwell, who photographed the staff and and talked with its reporters and advisor Stacey Hetrick. Staff members were also interviewed at that time by Reisenweber, who is well known to local high school athletes for his coverage on goerie.com. In the past few years, the Panther Press’ twitter feed (@PantherPressSHS) has expanded to cover not just sports, but a number of extracurricular activities such as music, theatre, and Hi-Q, and provides links to the staff’s website. 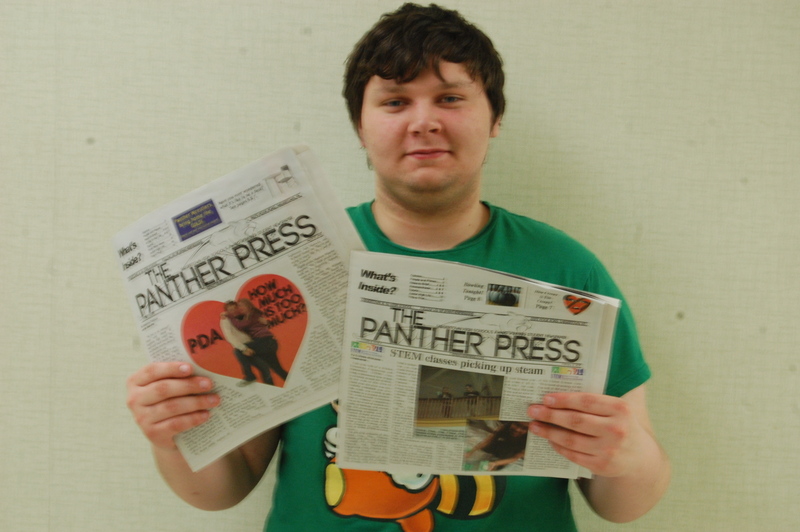 The Panther Press has come a long way, since its inception in 2006. Hetrick, who kickstarted and is now the program’s sole advisor, is extremely pleased with the accomplishments of her students, as well as the direction that their publication is headed. To read the full article, visit goerie.com. Posted on April 8, 2015 by staceyanderton1	in Features, News and tagged Header, Panther Press. Posted on February 12, 2015 by staceyanderton1	in Entertainment, Media and tagged Panther Pawdcast, Panther Press, Saegertown High School.